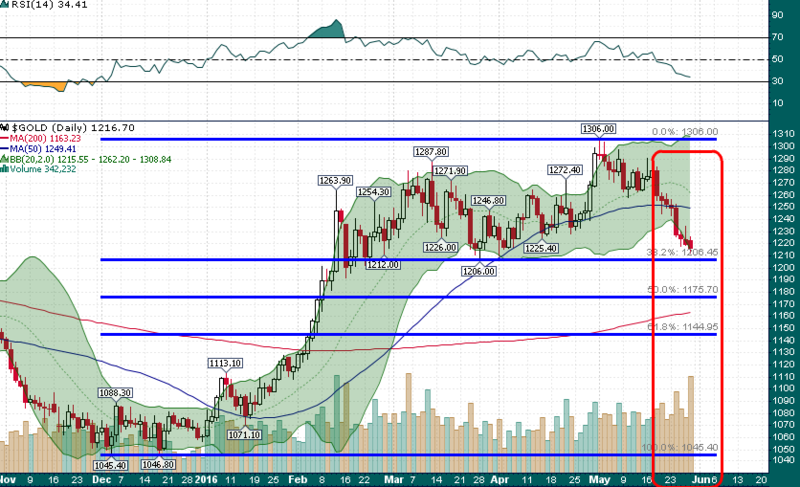 The Gold Capitulation Begins | Energy and Gold Ltd. 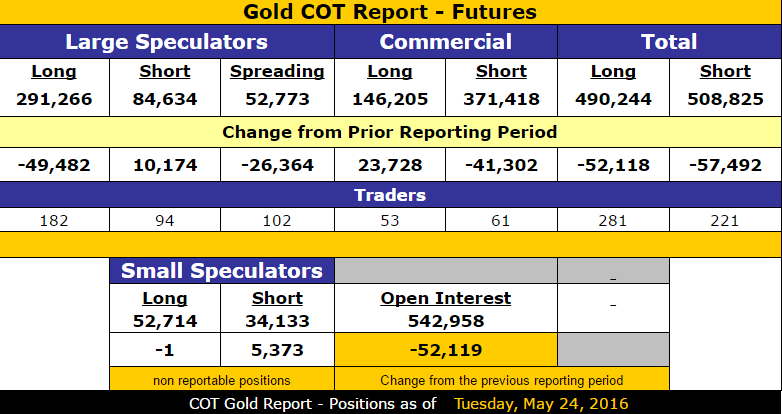 Commercials (gold miners and swaps dealers) also reduced their massive net short position by more than 65,000 contracts (~$8.1 billion USD) during the week ending May 24th. The heavy liquidation we have witnessed in the last couple of weeks likely means that gold will require some time to repair itself and put a sustainable bottom in place. Below $1206 the next significant areas of support are ~$1190 followed by $1175-$1180. In addition, June/July are seasonally weak months for gold historically. Precious metals investors/traders should prepare for a messy summer trading range before a bottom is put in place by mid-August; while I see a low probability of downside below $1175, I view $1306 as a level that won’t be surpassed for several months. This publication is provided for informational and entertainment purposes only and is not a recommendation to buy or sell any security. Always thoroughly do your own due diligence and talk to a licensed investment adviser prior to making any investment decisions. Junior resource companies can easily lose 100% of their value so read company profiles on www.SEDAR.com for important risk disclosures. It’s your money and your responsibility. EnergyandGold.com, EnergyandGold Publishing LTD, its writers and principals are not registered investment advisors and advice you to do your own due diligence with a licensed investment advisor prior to making any investment decisions. We reserve the right take a long or short position in this stock or any other stock we write about without notification to our readers.